It is not unusual that when a liberation struggle hero dies, many voices come to the fore, to bear witness, to lament, to remind, to narrate. 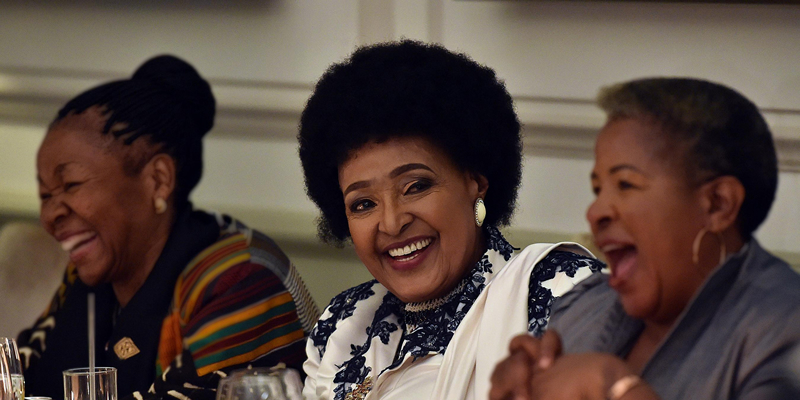 It is unusual that there is a particularly gendered vitriolic account the kind of which has accompanied the passing of Nomzamo Winnie Madikizela Mandela. In the cacophony of patriarchy-anchored, misogynistic utterances upon her death; in the outright dismissal of her positive significance to her community, country, continent and the world; in the mal-narration and disinformation meant to occlude, while excusing blatant wrongs done to her primarily by a very male culture, prior to and after the 1994 ‘independence’ of South Africa, it can too easily be with scorn, justified anger, lashing out, and dignified silence that we choose to respond. 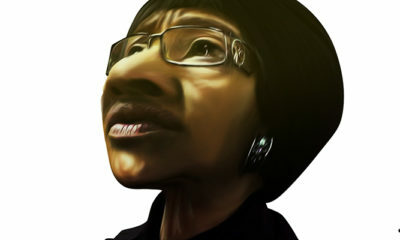 What I suggest, rather, is that we are at this moment, in honour of her indefatigable spirit, called upon to get to work: to continue her life-long work; to reflect on the gendered aspects to struggle and its representation – any struggle for liberation – and to draw what lessons we can for the future of the work of liberation movements, as continuation or reconstruction, from a gendered perspective. 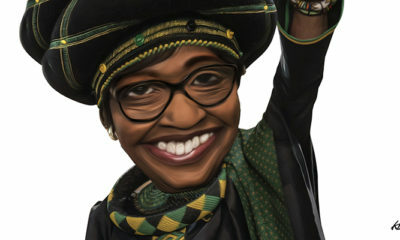 In such moment, it can also become easy to forget the male feminist voice that could offer more balance and nuance, in part because being male, it can get immersed under the rest of the shrill, insulting salvos; and in part because it has always been so faint within the cacophonous, discordant, Winnie Mandela – and later Winnie Madikizela Mandela – narrative song. This is not what Winnie Madikizela Mandela would want, I aver. 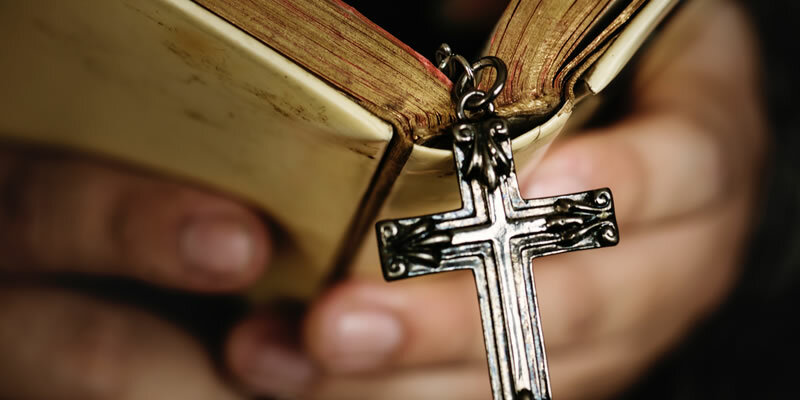 A woman who lived inclusivity, rejected injustice, and fought for those at the margins – male and female – would not rejoice in the silencing of any voice. 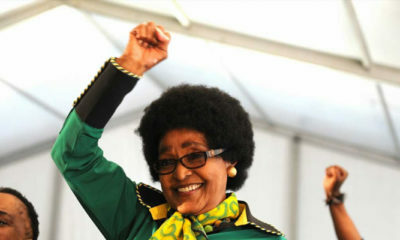 In particular, Winnie Mandela so believed in the critical role that liberation movements could play that, she would no doubt welcome a balanced reconfiguration of the feminist liberation movement, shaped not by patriarchy’s valorization or vilification, necessarily, but by such clear re-examination towards charting necessary new frontiers, and contributed to by such diversity as is near representative of reality as is possible. The recognition then, of the sheer importance of such voices as the male feminist requires that we amplify it to better examine it for the lessons it might elicit – and this is what I propose to do in these few pages. I focus specifically on the literary text by Njabulo Ndebele, entitled The Cry of Winnie Mandela. The focus on the literary text is necessary because, ‘underlying literary texts are ideological structures that ‘mediate the transformation of social structures into the thematic preoccupations as well as into the aesthetic structures and styles of the texts.’ To follow this argument, novels and biographies/autobiographies are ideological discourses, better understood if situated within the context out of which they derive. Novels in Africa, publication of the bulk of which coincided with the dissolution of the British Empire in Africa, perhaps much more so. The literary text in South Africa, and Njabulo Ndebele’s novel in particular then, is not innocent. While it shares the ‘African’ experience, South Africa, the last bastion of white colonial rule in Africa, is often singled out for the particularity of the history out of which it is fashioned, for the lessons it might have drawn from the rest of Africa, and for its relevance in the continuing process of re-fashioning ‘Africa’ (or not). 1963: Minister of Justice, BJ Vorster, introduces the 90 day law: security police given the right to detain people in solitary confinement for successive periods of 90 days without being charged or brought to court. 1996: March, after 38 yrs of marriage, 27 yrs of separation, and 4 yrs of living apart, Nelson and Winnie Mandela’s divorce is finalised at the Rand Supreme Court. ‘The end of one of the world’s great love stories’. The preamble of the constitution of the ‘new’ South Africa drawn up in 1996 states: ‘We, the people of South Africa, /Recognise the injustices of our past; /Honour those who suffered for justice and freedom in our land; /Respect those who have worked to build and develop our country; and Believe that South Africa belongs to all who live in it, united in our diversity.’ In the new South Africa, inclusion was to be the baton for measuring true independence. While most of the literature coming out of South Africa had hitherto focused on the struggle for liberation, beyond 1994, post-apartheid, post-independence South Africa was to be reflected in modes of writing that have often echoed those of post-independence Africa in general. 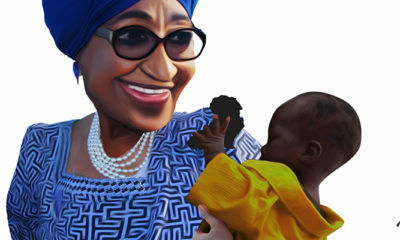 In the novel The Cry of Winnie Mandela, Ndebele offers us ‘post-nationalist’ black writing ‘that breaks with the stance of “protest”, … advocating a conscious ‘rediscovery of the ordinary’. Here we are presented with four women during the liberation struggle, who await the return of their men. They are dubbed Greek mythological Penelope’s descendants. Through the women, Ndebele offers comment on the historically inscribed position of the woman across cultures and geographic demarcations? In making the link between the women featured in The Cry of Winnie Mandela, Ndebele points to the commonality of women’s place across class and the racial barrier. The first of the women, Mannete Mofolo, is left in Lesotho while her husband migrates to the mines of South Africa and eventually does not return. The second woman is initially unnamed, and we later find out she is Delisiwe Dulcie S’Khosana. To delay naming Delisiwe is to allow for introspection and the possibility of finding her within each one of us. It is to point to the possibility of her universalism; of the possibility of any name suiting her, for she is any woman, unspoken and unspoken of. She represents that many. She is a teacher whose husband goes away to study medicine. Together they cherish the ideal that one day he will be the first black medical doctor in the East Rand township. She ´keeps’ him, making financial sacrifices to ensure that he attains his goal. In the tenth year, she falls pregnant and in the twelfth, the husband returns, accuses her of infidelity and leaves her for another woman. The new woman is a nurse. A wounded (also initially unnamed) woman, is the fourth, Marara Joyce Baloyi, whose husband is ‘there but not there. I mean, I saw his body around the house, but my husband had left.’ He drinks and sleeps around while his wife keeps house and ‘stand(s) upright and declare(s) her love and loyalty’ to him. Upon his death, she spends a lot of money on his funeral as per the demands of custom. 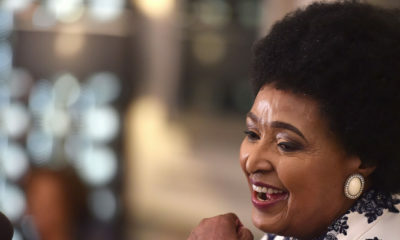 Ndebele finally presents to us the last and connecting point to all the women: Nomzamo Winnie Mandela. She is the embodiment of the historically constructed waiting woman of South Africa. 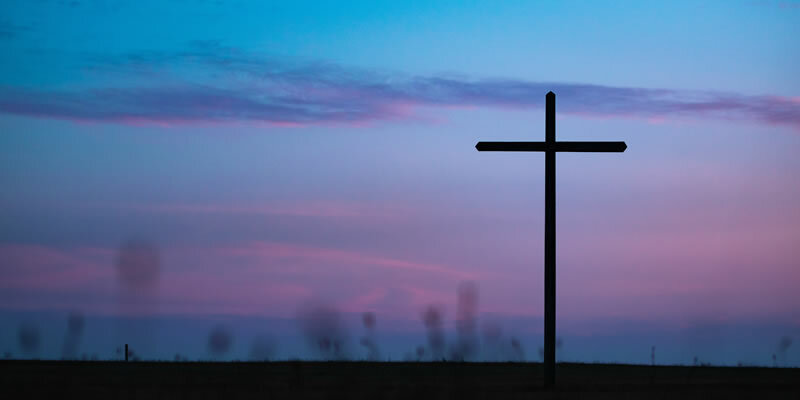 A symbol of defiance and contradiction. A woman who is presented as journeying, not frozen in her waiting. She shatters barriers and in the conversations that ensue amongst all the women, homo-sociality is born; the women gain a voice and mode of speaking hitherto unavailable to them – even the ‘unspeakable’. Above all, they each seek to find themselves before embarking on a metaphorical journey of the discovery of their racial other and predecessor, Penelope. Gender is central to the conceptualisation and expression of the nation, and of the future. In evoking the voice of the silent and silenced, Ndebele re-opens the debate on gender representations in post-independence African literature and the debate on male feminism within the African literary context. Ndebele offers us a glimpse too into the making of post-apartheid South African masculinities in his quest to ‘rediscover the ordinary.’ In doing so, he offers possible opportunity, through the figure of Winnie Mandela, at once diverse, at once singular, always symbolically omnipotent. He leaves us too with many questions, not least of which is, after such a long-sustained gender gulf, can men and women reconcile – from a point of real knowledge and empathy – and together produce a society free of gender bias? 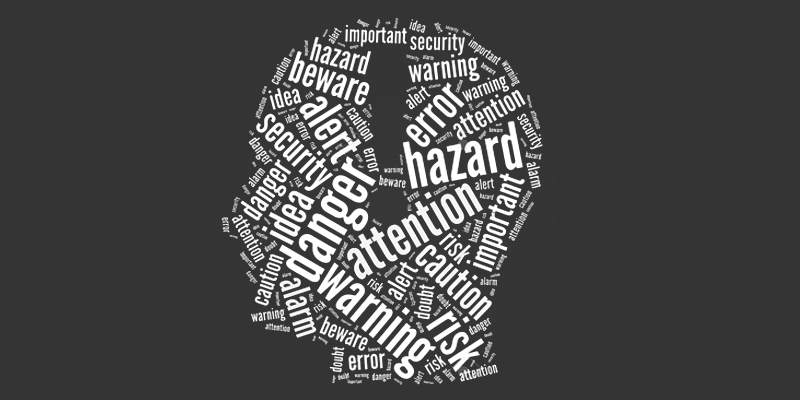 In the wake of the death of this symbol of hope and in the face of misrepresentations, renewed efforts at educating men and women become urgent, as Spivak argues, not only to be free of gender bias, but to also not consider the consequences of gender-freedom to be demeaning to themselves as men and women, and necessarily destructive of the social fabric. The Constitution of the Republic of South Africa, 1996. p.1. Graham Pechey, ‘Post-apartheid narratives’ in F. Barker et al, eds. Colonial Discourse/Postcolonial Theory, (Manchester: Manchester University Press, 1994) p.167.